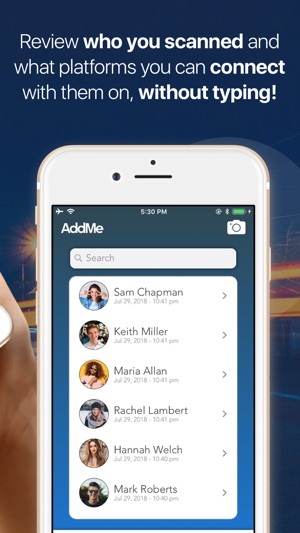 Connect with new friends, increase your social media following, stop awkward phone number exchanges, and never lose track of a contact again with AddMe. AddMe creates better connections by building a network that stretches across multiple platforms. So what are you waiting for? 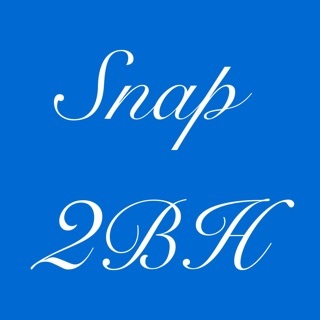 Just AddMe. 1. Create a Sharing Profile personalizing what you would like to share for any scenario with a matching picture and bio, connect social media profiles you wish to include. Make one for work, one for going out, and one for everything! 2. Start sharing using your AddMe code, upon scanning, you instantly have access to create a new contact card and following on Twitter take place without leaving the app. You have direct access to all social media accounts other users have shared with you. Follow them now, or later! You decide. 3. View info about your past scans and what was shared with you all in one place. Add private notes after a scan takes place, jot down some notes like "Friends with Tyler", so you don't forget who your new connections are! AddMe is the perfect solution to save time when meeting new people. Don’t ever give a wrong number or send a “Who is this text?” again. Starting a new job? Create a code with your LinkedIn, email, phone number, and a link (in Notes) to a PDF of your resume to make networking easier than ever. You can also use AddMe to scan other QR codes you may come across. Supported items include phone number, email, Facebook, Instagram, Snapchat, Twitter and LinkedIn. You can even add custom notes and links to your profiles. More platforms & updates coming soon! Addme is a great way to enhance your social AND professional presence on all platforms of social media. The ease that it provides for sharing multiple forms of communication is simply unprecedented in our day and age. This app is useful and simple to use in all gatherings! 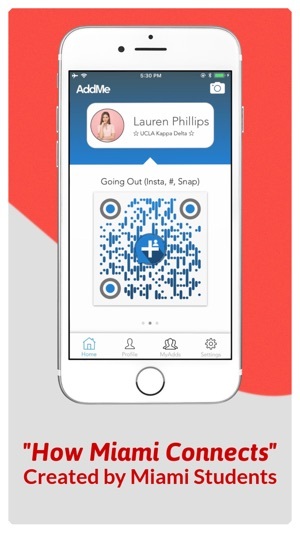 Job fairs, networking events, parties, or any social setting addme allows you to engage and stay connected with people at all times... 10/10 would recommend. I love this app because it makes meeting new people so much quicker! 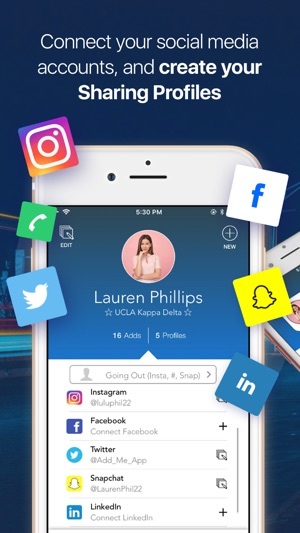 Instead of adding various profiles on different platforms over the course of days/weeks it helps you connect on everything all at once. 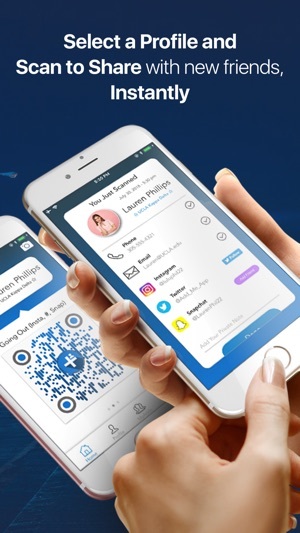 Start sharing using your AddMe codes, upon scanning, actions such as contact card creation and following on Twitter take place without leaving the app. You have direct access to other accounts users have shared with you. Follow them now, or later! You decide.